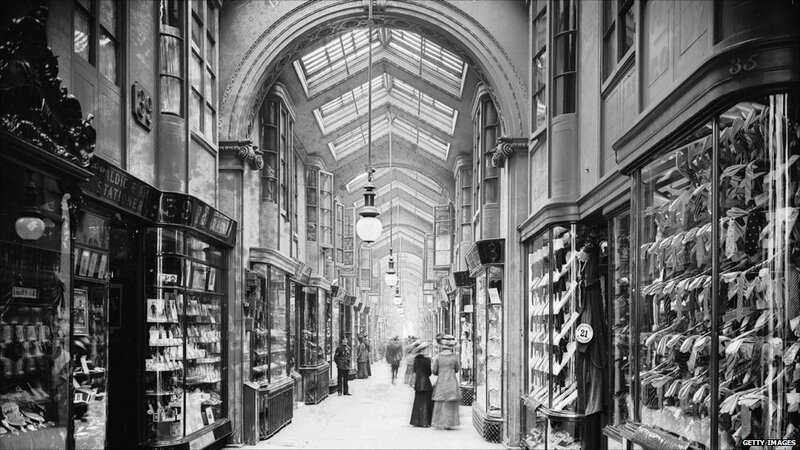 Britain's first shopping arcade was in Mayfair when the Burlington Arcade opened in 1819. Lord Cavendish commissioned his architect, Samuel Ware, to design a covered promenade of shops, unofficially to stop ruffians from throwing quantities of rubbish, in particular oyster shells, onto his property. The arcade still employs traditional Beadles – liveried guards wearing traditional Edwardian frock coats and gold braided top hats. 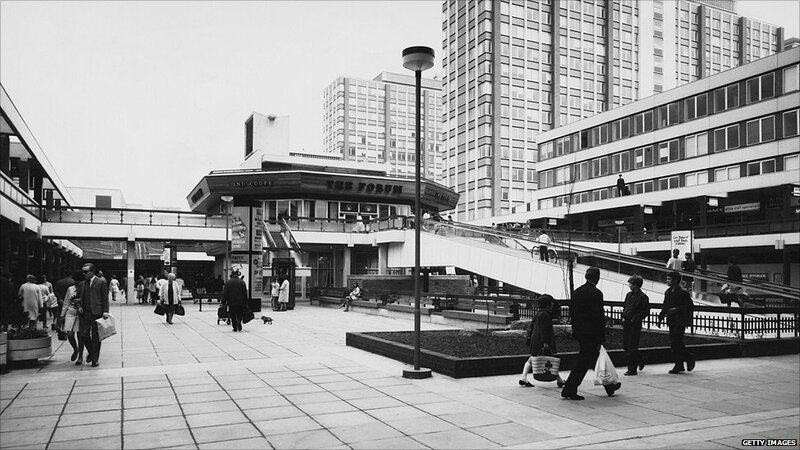 The Elephant & Castle shopping centre was built in 1965 and was the first modern shopping centre of its kind in Europe. It was part of a regeneration programme by the London County Council which wanted to create “a city that will be higher in the air and more spacious on the ground, with traffic and pedestrians travelling at different levels”. The vision has not stood the test of time and a major regeneration programme is taking place until 2015. The 1970s was a boom time for shopping centres - Wandsworth's Arndale centre, the Lewisham Centre, Stratford Centre and Kings Mall were all built. 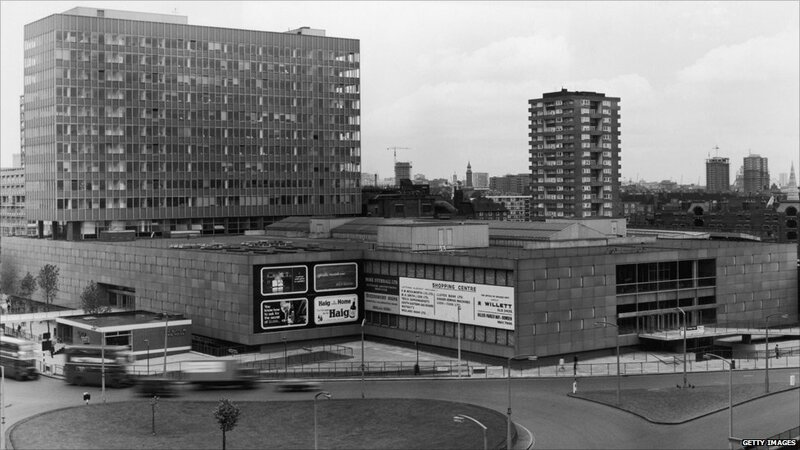 The Whitgift Centre (above) in Croydon was officially opened by the Duchess of Kent in 1970. The name comes from John Whitgift, a former Archbishop of Canterbury who died in Lambeth in 1604 and was buried in Croydon. 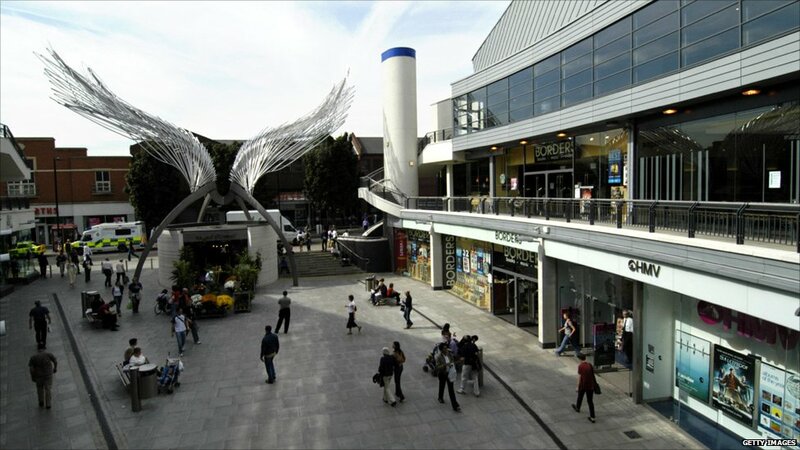 The centre was rebuilt during the 1990s and will be redeveloped again as part of the Croydon Vision 2020 project. 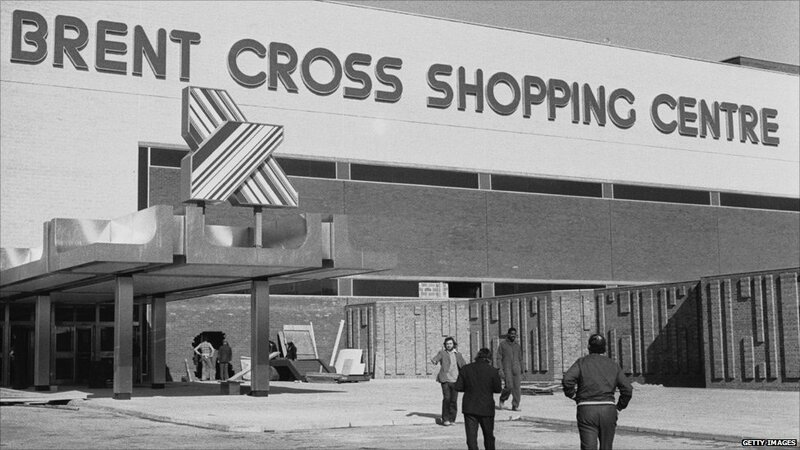 Brent Cross shopping centre opened in 1976 with 75 shops and was revolutionary for its time. The American-style centre introduced air conditioning and late-night opening every weekday to strike-hit, recessionary Britain. At the time most shops across the UK still closed on half-days during the week. The centre now has 120 stores after it was extended in 1995. In 1984 the Broadway Shopping Centre opened in Bexleyheath within the London Borough of Bexley. It was opened by the Duke of Edinburgh and remains the borough's largest centre. It is typical of centres built in the 1980s and 90s in which local councils saw them as catalysts for town centre regeneration. Local centres aimed to be places for community life and leisure, as well as places to shop. 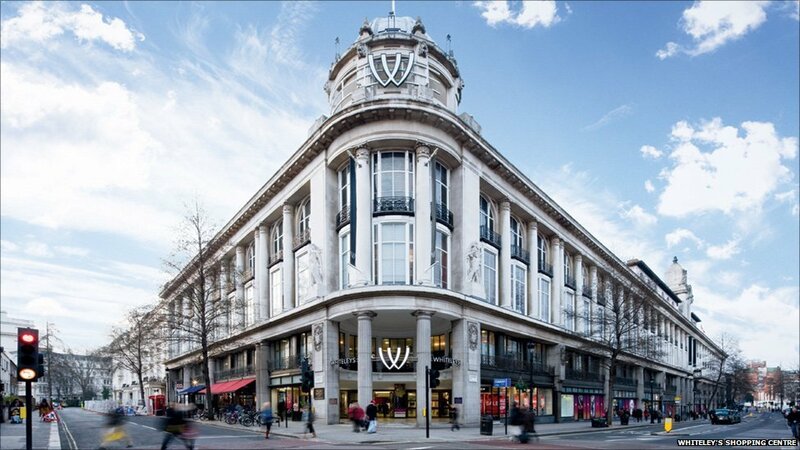 Whiteley's of Bayswater was once a luxury department store but was transformed into a shopping centre in 1989. The current building was built in 1911 and included both a theatre and a golf-course on the roof. William Whiteley, a self-made millionaire, opened the original Whiteley's in 1863. In 1907 a young man claiming to be Whiteley's illegitimate son shot him dead in his store. Huge angel wings depict the location of the N1 Centre in Islington. The centre opened in the heart of Angel in 2002 and includes four floors of shops, restaurants, cinema and the O2 Academy live music venue. Regeneration across London has also seen the Grade II listed Brunswick centre open in Bloomsbury in 2006 and the Edmonton Green shopping centre in 2007. 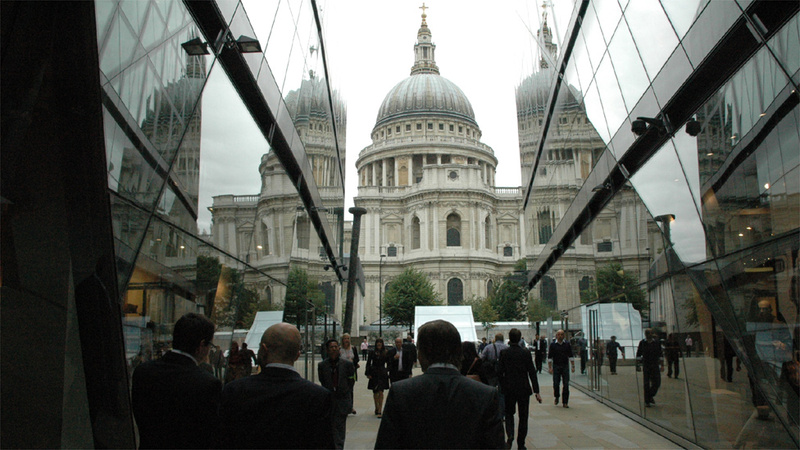 The City of London welcomed its first shopping centre, One New Change, in October 2010. It is located adjacent to St Paul's Cathedral, contains two floors of shopping, numerous cafes and restaurants as well as office space for 3,000 City workers. The six-storey building was designed by modernist architect Jean Nouvel and stands on Cheapside, an area that once had a major market ("cheapside" meaning marketplace in Old English). 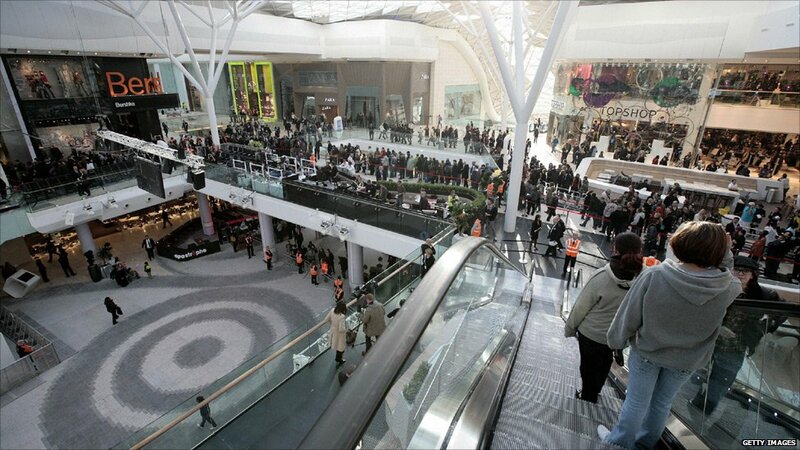 Westfield London (opened 2008) in Shepherd's Bush is Europe's biggest inner-city shopping complex and the UK's third largest shopping centre after Gateshead's MetroCentre and Bluewater in Kent. 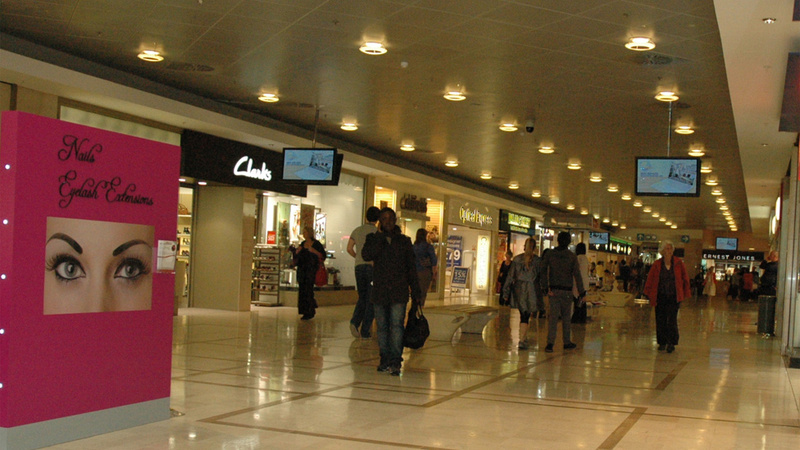 About 80% of the stores are fashion outlets, including 40 luxury brands. A computer-generated image of the new Westfield Centre in Stratford. 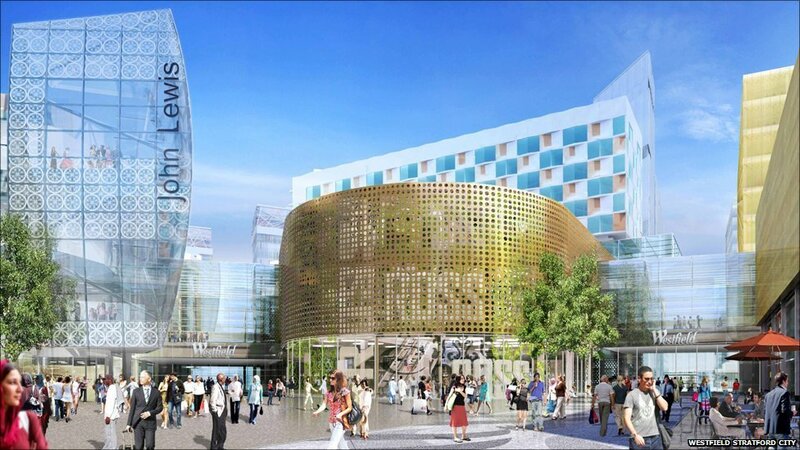 The shopping centre, which will be the largest urban shopping centre in Europe, will open on 13 September 2011 with 300 stores. The environmentally-friendly building will include LED lighting, electricity produced by kinetic energy from footsteps, green roofs and its own Combined Cooling and Heating Power System (CCHP). It will create over 10,500 permanent jobs.